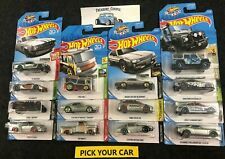 2019 Hot Wheels Premium Fast And Furious Car Sets Full Set Fast Imports Full Set Original Fast All cards and blisters are in great condition. Will be wrapped in bubble wrap and packed in a sturdy box Will ship USPS PRIORITY with tracking and insurance. THIS IS A 2019 FPY86-956H 5 CAR SET. 1 - NISSAN SKYLINE GTR R32. HOT WHEELS. EACH SET WILL CONTAIN 5 HOT WHEELS CARS. Set Includes: 1 Diecast Car. Adult Collectibles. Real Rider Rubber Tires. Premium Collectible Die-cast Cars. Manufacturer:Hot Wheels. This is for Set of 5 Cars Choose from a wide variety of vehicles and start building your epic collection! HOT WHEELS 2019 CAR CULTURE. RELEASE J - SILHOUETTES. NISSAN SKYLINE SUPER SILHOUETTE. Please see pictures before bidding. May have soft corners/ creases . US shipping only. Any other questions feel free to message me. Thank you. ---Brand new item, factory sealed. ---Our inventory is stored in a smoke free collector facility! ---Your order will ship well packaged in a sturdy box! ---Free shipping and free 30 returns on all items, don't settle for less! Check out our other listings! Discounts applied during checkout for more than one item purchased. International shipping via Global Shipping Program at buyer cost. Import/customs fees buyers responsibility if applicable. Any questions contact us any time, thanks!. I am just a guy with a love for collectibles and toys. I am easy to get along with. I will allow 30 to receive an item back. If I make a mistake rest assured I will fix it and make it right. This prop is not included in the sale. 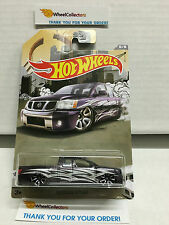 For sale is a 2019 Hot Wheels Super Treasure Hunt Nissan Skyline GT-R (R34) pre-owned Loose as pictured. Will make an excellent addition to anyone's Diecast car collection. Advan JLM-L NISSAN SKYLINE HT 2000 GT-X #19 w/Real Riders. This model will make a perfect addition to your collection! This has never been played with, but may have flaws in the paint from the factory. Custom 3 pack Nissan Skyline GT-R. Combined shipping is available. International shipping is through Global Shipping Program. All fees and taxes are the responsibility of the buyer. Payment is due within 3 days after auction end. Hot Wheels Dream Garage Nissan Skyline GT-R (R32) in excellent condition. 1/5, ZAMAC Nissan Skyline GT-R [BCNR33] from the 2019 E Case. 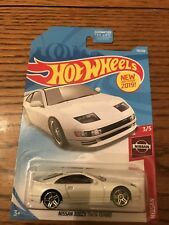 3/5, White Nissan 300ZX Twin Turbo, NEW FOR 2019, from the 2019 E Case. White Nissan Skyline 2000 GT-R from the 2019 G Case. 1/5, Red Nissan Skyline GT-R [BCNR33] from the 2019 B Case. You are looking at a 2018 Hot Wheels Gran Turismo Series #1/8 NISSAN SKYLINE GT-R (R34) White Any questions, please feel free to ask. Thanks for looking. Check out my store for more die-casts! Perfect for any Nissan enthusiast or Hot Wheels collector. The item that you are viewing is a Hot Wheels Nissan Skyline H/T 2000GT-X 2011 HW Premiere #T9703 New Wht 3 1:64. This item is brand new and sealed in protector. This item is sold as in the photos. Feel free to contact us if you have any questions! Hot Wheels Nissan Skyline GT-R R33. Super rare gen 1 LP2 Midnight Purple paint imported from Japan, no this is not a joke it's the real paint and it was not cheap. All Automotive grade paint, two part clear coat is used in all my project's, will last forever if displayed. (:) I TOO AM A COLLECTOR! Overall Good Condition. minor issues if any. Major issues will be noted below: small few of cards may have soft corner or tiny vein by j hook. I have several of these so conditions may vary. If your looking for a perfect card.THIS IS NOT FOR YOU! Hot Wheels Nissan 300zx Twin Turbo 1/64. Condition is New. 1/64 new in protective case. See all new cars up now!! Thank you shipp to USA only..
LAMBORGHINI VENENO. NISSAN CONCEPT 2020 VISION GT. 2009 NISSAN SKYLINE GT-R. Made By Hot Wheels. Custom Drift wheels with Falken Azens letters. Custom green chroma paint. Will be sold in order. Airbrushed and hand painted. Super clean drift look. 1 Skyline GT-R R35 (Guaczilla). 4 Skyline GT-R R33 (Red). 4 Skyline GT-R R32 (Blue). I have here a lot of Hot Wheels Nissan Skyline GT-R's. 9 in total. All new on mint cards. Sorry for the poor photos. 2019 HOT WHEELS PREMIUM OPEN TRACK NISSAN MERCEDES-BENZ ACURA AUDI "YOU PICK"
SILHOUETTES™. NISSAN SKYLINE SILHOUETTE. Hot Wheels Car Culture. CAR CULTURE. HOT WHEELS®. Featured is a 2018 Hot Wheels release of the Nissan Skyline GT-R R32. 2019 CAR CULTURE SILHOUETTES RELEASE J. THIS IS A 2019 FPY86-956J FACTORY CASE. NOTE: THIS IS A PRE ORDER ITEM WITH AN ESTIMATED RELEASE DATE OF MID-LATE MAY 2019. CAR CULTURE - SILHOUETTES. PRE-ORDER HOT WHEELS PRE ORDER . Up for sale here is a great collection of 28 different Japanese Hotwheels cars! Nissan Skyline R33 in both Midnight Purple and red, r34, r32 yokohama version in both white and blue, RS (kdr30), R30, Custom Datsun 240z (in white, blue, red and yellow), Fairlady Z, z32, H/T 2000GT-X, 180sx type-x, 2017 17 GT-R R35 - Godzilla, and the fairlady 2000 in black and yellow variants, I also thru matchbox version iof the 62 Datsun truck and the 510 Rally, and finally for the nissans I thru in the Fast and Furious version of Han's S15 Silvia from The Fast and Furious; Tokyo Drift. 2019 Hot Wheels Nissan Skyline GT-R [BNR34] Lot of 12 ~ BOX SHIP!! 12x's - 2/5 NISSANSKYLINE GT-R [BNR34]. New on the card, never opened and cards/blisters show minimal shelf wear. You'll want to add this in your collection. These casting also gives a lot of options if you like to mod your cars. 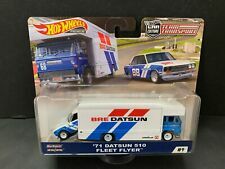 Will make an excellent addition to anyone's Diecast car collection. 2018 hotwheels super treasure hunt Nisan fair last night burners. Small crease on card shown in pics. I also carry more hotwheels and collections. Thanks for looking and have a great day. New Hot Wheels 2006 New Models Nissan Z. Item is in good condition.